My eldest daughter (eldest? she’s not that old) has been busy on the home computer lately. I know, I know. She should get outside more. She does. But when it’s 90 degrees like it is today, I can hardly blame her. So I’m thinking of buying her a dolphin. A virtual dolphin. We don’t have a real pool, just a little kiddie one, and I poked a hole in it when I got the bikes out of the shed for the summer. 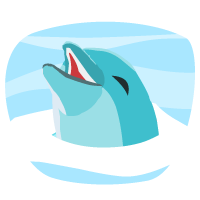 Back to the dolphin, the good folks at the National Wildlife Federation are working with “social games leader” Crowdstar to save animals devastated by the BP-Deepwater Horizon oil gushing disaster, according to none other than softball CNN interviewer Larry King (who I love anyway). 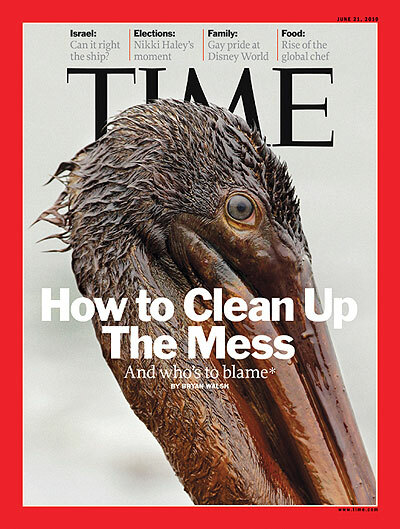 There are plenty of threatened animals that need help, as my daughter noticed on a recent cover of Time magazine. Sad. Here’s the deal with Crowdstar. The company runs Facebook games, and more than 50 million people play them. So Crowdstar is selling special virtual animals in crazy popular games like “Zoo Paradise,” “Happy Aquarium” and “Happy Pets.” Too bad there’s no “Wizards 101” option; that’s my daughter’s favorite online game. In the games, you can buy animals like a sea turtle, sea duck or dolphin, care for them and see 100 percent of the proceeds go to ongoing efforts by NWF to help animals affected by the disaster. A disaster that’s just as much your’s and my fault as it is BP’s, by the way. Do you drive? Well there you have it. My daughter doesn’t drive, yet. One more positive: This could make those annoying “I just fed my fish/puppy/monkey” status updates on Facebook a little less annoying. A little.